"Ive always received fantastic care... Had surgery on both feet!" "Impressed, Excellent, Friendly Staff, Upbeat Doctor!" "I love these people... professional, kind & wonderful!" Sean C. Hodson, DPM, FACFAS will quickly diagnose your problem and provide you with a treatment plan that will have you up and running again in no time. Tendonitis will only get worse as time goes on, which is why you should seek treatment at the first sign of trouble. Neuropathy is a condition whereby certain nerve endings fail to signal pain. When it occurs in the feet, it is known as peripheral neuropathy, and most often affects diabetics. In fact, it is a contributing factor to the high rate of amputation among diabetics. If you’re a diabetic, it’s especially important to check your feet for signs of open sores or other wounds that do not heal, as they could lead to an infection that might eventually require amputation. You should also visit a Destin podiatrist on a regular basis for help in managing your peripheral neuropathy. If you’re suffering from an ingrown toenail, wearing shoes can become extremely uncomfortable, as can walking or standing for any length of time. Some people are more prone to developing ingrown toenails than others are, particularly those with wide feet or athletes who regularly perform on hard surfaces. Ingrown toenails are not only painful, but they can also become infected if they are not treated properly. Many times, removing a portion of the affected toenail is needed to provide relief, which is why our Destin and Fort Walton Beach patients who are suffering from ingrown toenails turn to White Sands Podiatry. Heel pain can be caused by a number of things, ranging from injury to improper footwear. Treating heel pain yourself is often difficult to do, simply because it is hard to determine what might be causing it. That’s where White Sands Podiatry comes in, providing you with a thorough examination to diagnose your problem and develop a treatment plan for eliminating it. We’ll also provide you with practical advice on how to manage your heel pain during the healing process. Don’t let heel pain get you down. When toes are misaligned, this can lead to bunions, which is an inflamed area near the joint of the toe that may also protrude outward. The shape of your feet along with a tendency to over pronate while running can leave you predisposed to developing bunions, which only tend to get worse as time goes on. Treating bunions is done with the use of orthotics and/or having them surgically removed here in our office. At the first sign of a bunion, visit White Sands Podiatry for treatment in order to reduce swelling and inflammation so you can begin feeling better again. Toenail fungus is one of the most common foot disorders, and is easily spread in public locker rooms or other areas where people tend to walk barefoot. This condition can result in discomfort and swelling, not to mention the fact that the affected toe may have an unsightly appearance. There are few over-the-counter remedies that are effective at treating toenail fungus, as prescription-strength medicine is usually needed to eliminate it. For this reason, you should visit White Sands Podiatry if you notice dark nails, especially if they are also flaking and peeling. The sooner you seek treatment, the quicker you’ll be able to eliminate toenail fungus. Most people never realize how much they rely on their feet until they are plagued with foot pain. If you’re experiencing foot pain that is more than just tired, aching feet, please make an appointment with White Sands Podiatry. Severe foot pain is not normal, and signals an underlying condition that must be addressed in order to prevent your problem from becoming worse. We can diagnose the source of your foot pain and come up with a treatment plan that’s just right for your unique situation, allowing you to get back to enjoying the things you love doing as quickly as possible. If you’re experiencing discomfort with your feet or ankles, head to White Sands Podiatry, where you’ll be treated by a top Destin podiatrist and his attentive, caring staff. Sean C. Hodson, DPM, FACFAS is proud to serve patients in the Destin, Fort Walton Beach, Niceville, Miramar Beach, Crestview and Bluewater Bay areas, at Sacred Heart and multiple other locations for your convenience. Over the years, he has built a solid reputation for providing exceptional care to patients of all ages and walks of life. His goal is to treat your foot problems quickly so you can get back to enjoying the white sandy beaches for which this area of Florida is so well known. For top-notch, professional care in a warm and relaxing atmosphere, there’s no better place than White Sands Podiatry. Part of our responsibility in providing you with exceptional care involves making sure each and every detail is taken care of. To do this, we’ll begin by collecting a health history to help Sean C. Hodson, DPM, FACFAS in making his diagnosis. We’ll also make sure we have the correct insurance information on file for billing purposes. Our goal is to be thorough without being intrusive, as we take your privacy very seriously here at White Sands Podiatry. If you have any questions about anything, please do not hesitate to ask. Here at White Sands Podiatry, we know that foot problems are not just limited to certain groups of people. Anyone can experience foot problems at any time, which is why we treat men, women, and children of all ages at our Destin, Fort Walton Beach, Crestview and Niceville clinics. Our patients range from athletes who have experienced foot injuries to patients with diabetes who require additional care that their primary care physician cannot provide. 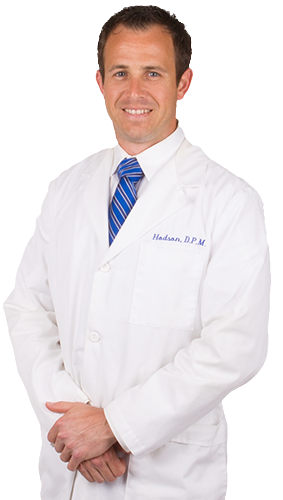 To find a reputable Destin or Fort Walton Beach podiatrist, all you have to do is read the reviews for Sean C. Hodson, DPM, FACFAS in order to see how satisfied his patients are. The reviews you find here are all from actual patients, who gladly attest to his professionalism and experience. Read through these reviews to find out what others are saying about the quality of care they have received from White Sands Podiatry. Are foot problems keeping you from walking along the sandy shores of Fort Walton Beach? Conditions such as athlete’s foot, hammertoe, bunions or plantar warts often keep people from visiting the beach because they find that going barefoot is uncomfortable. Not only that, but foot problems can also make running, walking or even standing on your feet unpleasant and uncomfortable. 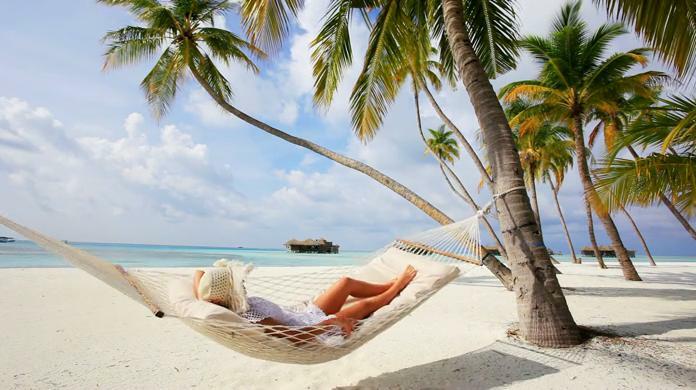 Make it your goal to get back to the beaches as soon as possible by visiting White Sands Podiatry for a consultation. There’s no need to put off treatment when there’s so much you could be missing out on. Contact Sean C. Hodson, DPM, FACFAS at one of his four convenient locations today and put your foot problems to rest once and for all. If you’re experiencing minor foot problems, you may be thinking that visiting a foot doctor in Fort Walton Beach isn’t necessary. The truth is that foot doctors do not always treat major problems, as they also handle minor issues related to the feet and ankles as well. If you’re experiencing corns, bunions or ingrown toenails, please make an appointment with White Sands Podiatry today. Your feet are actually quite complex, containing more than 30 bones and a host of nerves, muscles and tendons. They also must carry you for the rest of your life, so it only makes sense to trust their care to a specialist. Contact Sean C. Hodson, DPM, FACFAS today to ensure your feet receive the best care possible. When it comes to the care of your feet and ankles, it only makes sense to visit a foot specialist in Destin. A foot specialist or podiatrist can not only diagnose your problem, but is also capable of treating any disorders relating to your feet. As a result, you can receive care much quicker than you would by visiting a general practitioner. What’s more, a podiatrist can also help you better manage foot care, which is something that is especially important if you are a diabetic, have poor circulation, or are plagued with flat feet or fallen arches. Contact Sean C. Hodson, DPM, FACFAS of White Sands Podiatry today to schedule your appointment, and see what a difference a podiatrist can make in the way you feel. Here at White Sands Podiatry, our friendly staff welcomes patients in the Destin, Fort Walton Beach, Niceville, Crestview and surrounding areas to drop by one of our conveniently-located clinics to schedule an appointment or simply find out more information. We are here to serve you, and will always be glad to take time out to talk with you and answer any questions you may have. For your convenience, we have locations in Miramar Beach, Crestview, Niceville and Fort Walton Beach. Each one of our locations is staffed by friendly personnel who believe in treating patients as though they are a part of the family. You are not an interruption to our day, but rather the very reason we exist. Come on in to the White Sands Podiatry location nearest you to find out more about what we do or to schedule your appointment.